Lingli safety protection articles co,Ltd regards"excellent quality,efficient production" as fundamental.Relying on the division of professional staff,highly cooperative of department,adhering to enterprise spirit of "profession cast brilliant,integrity deep reputation". Shaoxing lingli safety protection articles co,Ltd has high sense of responsibility and professionalism and is willing to join hands with all partners to achieve a win-win development! ⑴We are a professional safety protection products manufacturer. 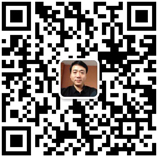 ⑵Our goal is to provide high-quality products to customers and market. ⑶Although the markets, applications, and customers are different, Lingli has a unique idea to guide customers to success. ⑷For any consultation and feedback, we will reply patiently and carefully. ⑸For any inquiry, we will give reasonable quotation as soon as possible. ⑹For any new product, we will communicate with customers and take their ideas into consideration to make the best product. ⑺For any order, we will finish the production on time. ⑻We will spend time and energy to solve every problem, no matter how common it is. We will always accommodate to you, and you can find that we can speak your language and know your technology. This is why we have successfully cooperated with so many customers from different countries. ⑼We have always based on the enterprise tenet “integrity deep reputation, professional cast brilliant”, regarding quality as life, leading industry development, casting a core competitiveness and core value of the foundry industry, sincerely welcome new and old customers.